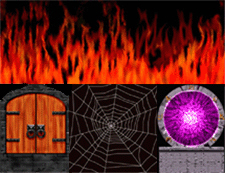 All Artwork in the Graphics Files that are available for download from this page were created by Ron Shirtz. All of the images are © 1999-2008 by Ron Shirtz. Individuals wishing to make any or all of these images available on a website, CD-ROM or by other means of mass distribution, whether for free or for profit, must first request and receive permission of the copyright owner. Persons interested in doing so can contact Ron Shirtz. Bundles are available with great savings! Not only will the purchase of a Deluxe tile expand your fantasy gaming, but it's a great way to say, "Thank You, Ron Shirtz! 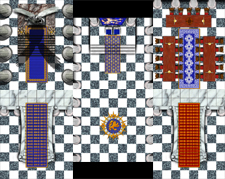 (and keep the tiles coming!)" for all the hard work he's put into the hundreds of fantastic tiles he's made available to all of us, free of charge. 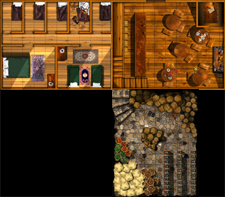 10% of each tile sold also goes toward maintaining Ye Olde Inn so that these resources remain available for all fans. Historical Agin's Inn. For those who charish the legacies of the past! Tiles designed with the Weary Hero in mind. Tiles designed to thwart those travellers who fail to watch their step! Tiles designed to keep even the most Elite Adventurer hot on their toes! 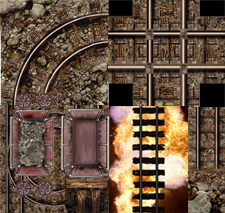 Tiles designed for Adventurers who like to explore the dangerous, strange and unknown. 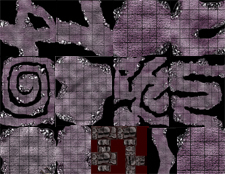 Tiles designed for Dwarves and those adventurers who aren't afraid of the dark. 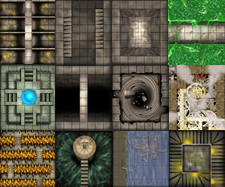 Tiles designed for adventurers who wear more clothing than the Barbarian! 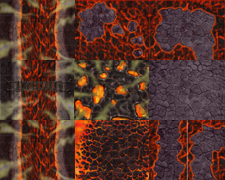 Tiles designed to create an authentic Mine style setting. They go great with the Cave Tiles. 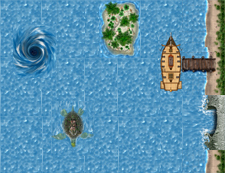 Seafaring Tiles designed for all ye scurvy dogs! 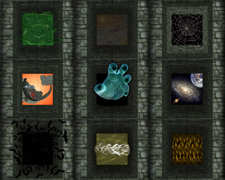 Accessories designed to enhance your imagination, spruce up your dungeons, or thwart adventurers. 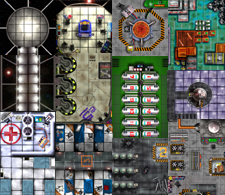 Originally designed for use in Milton Bradley's Space Crusade, these tiles could be used in your HeroQuest adventures. Perhaps in a 'futuristic' quest, or there can be an ancient space ship buried deep within the earth for centuries. ...Or you could use them in Space Crusade and Space Hulk! 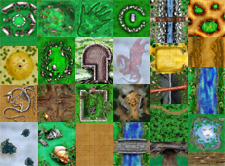 Tile sets and Miniature Banners for the Lord of the Rings.